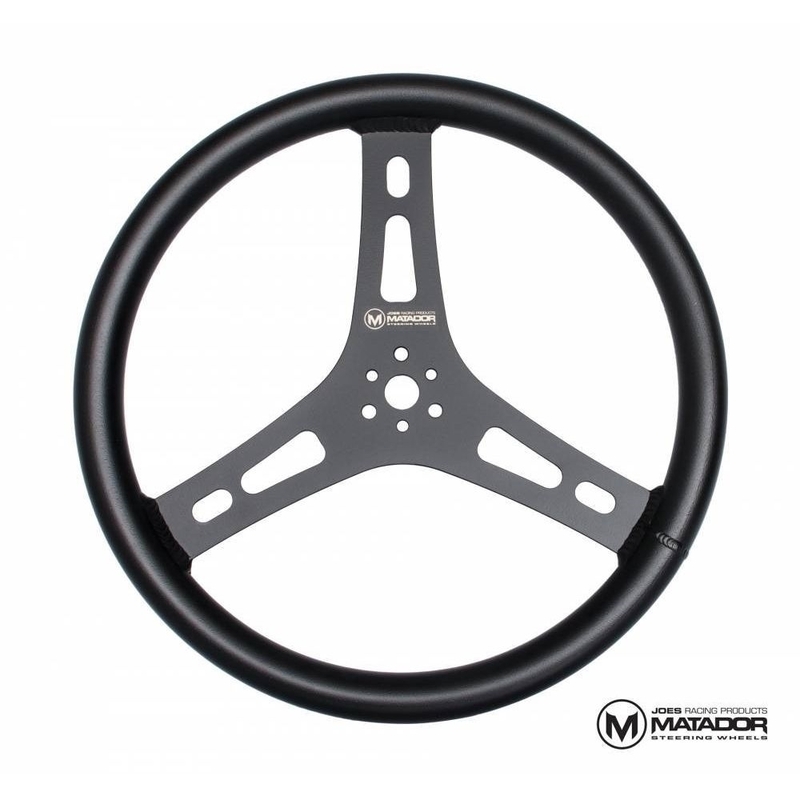 With the Matador Steering Wheel, JOES Racing Products set out to build the strongest steering wheel on the market. We started with a flat wheel center machined from 6061-T6 Aluminum which features wider spokes for extra strength. 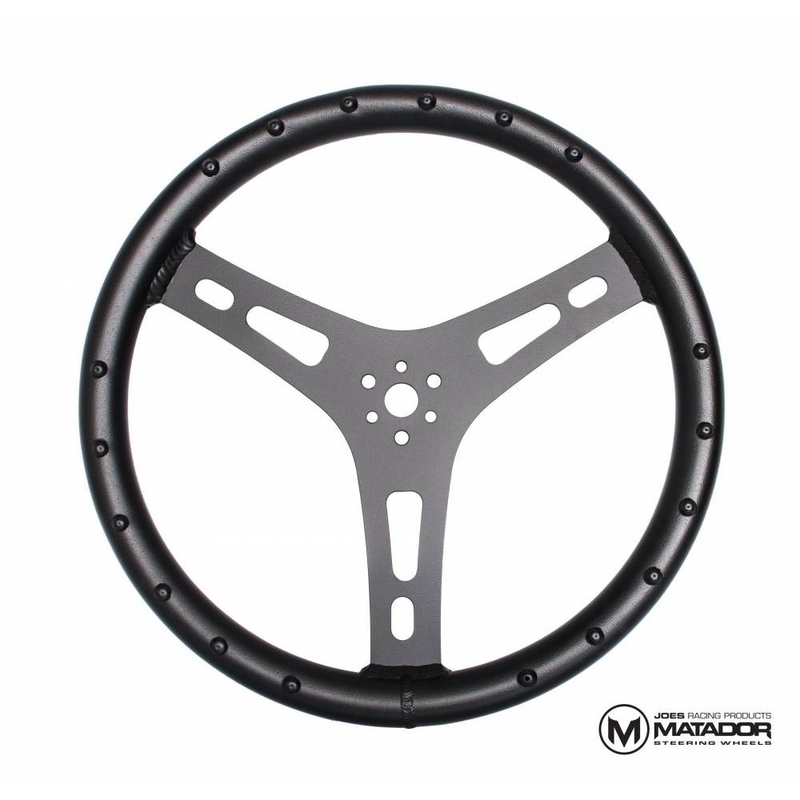 The Matador’s 1-1/4″ diameter grip reduces hand fatigue while the evenly spaced finger nubs give the driver better grip for any track conditions they may face. 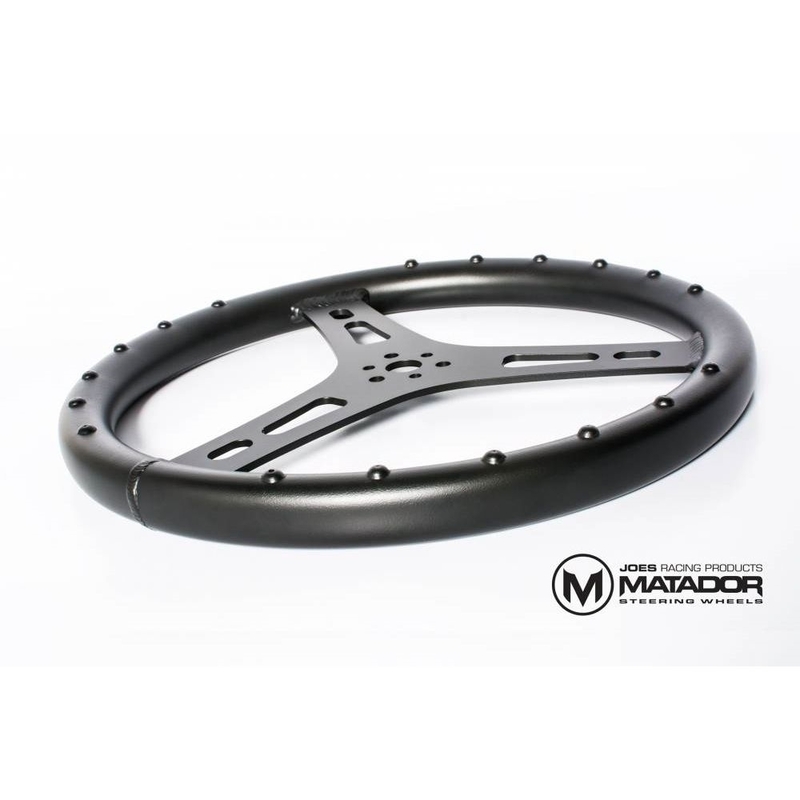 Fully Tig welded and made in the U.S.A. the Matador weighs in just under 24 oz. 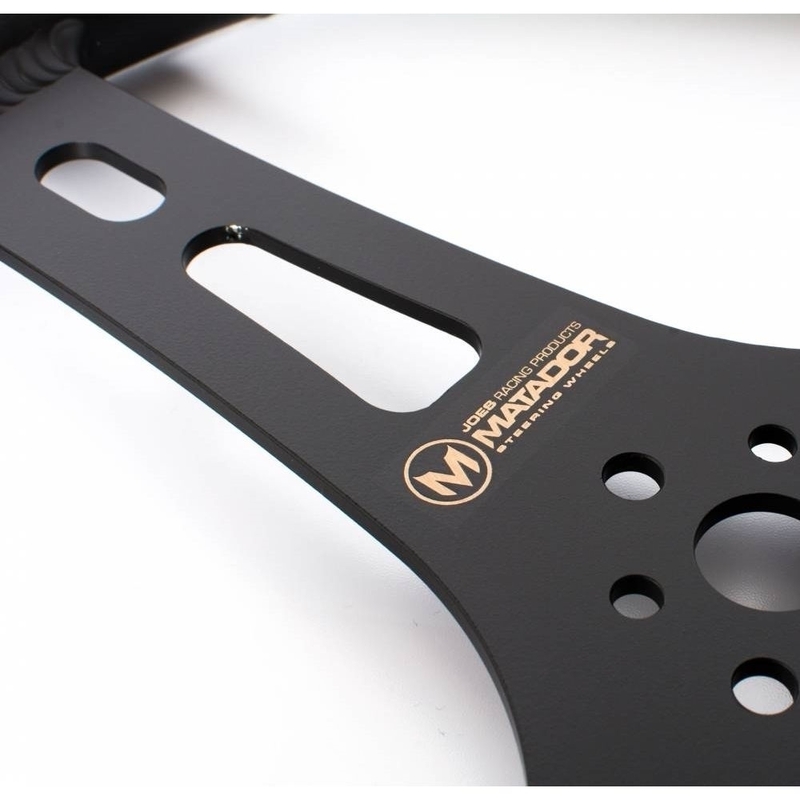 and is available in 15″ ,16″ and 17″ and come in either a Matte Black or Raw Aluminum finish.